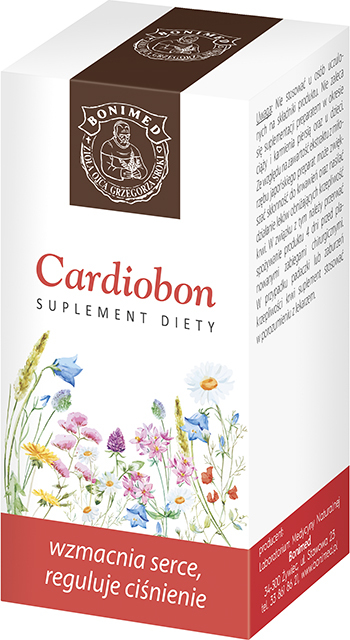 Because the product contains hawthorn inflorescence, we recommend it as a daily dietary supplement to support a healthy heart muscle and blood supply to the heart muscle, as well as to maintain a stable blood pressure. Because the product contains ginkgo biloba leaf, it supports a healthy blood flow in the brain, memory, concentration, and normal functions of the organ of hearing and balance. Because it contains magnesium, it helps reduce tiredness and fatigue. It also helps maintain a normal functioning of the nervous system. Ingredients: Magnesium lactate, hawthorn extract, ginkgo biloba extract, anti-caking agent (magnesium stearate, silicon dioxide), gelatin (coating). Recommended intake: Take 1 capsule per day before a meal. Dietary supplements should not be treated as a substitute (replacement) of a varied diet. Do not exceed recommended daily intake during the day. Warning: If you have coagulation disorders, talk to your doctor before using the product. Because of the ginkgo biloba contents the product may enhance the effects of drugs that reduce blood clotting.